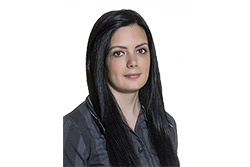 Η Κατερίνα Katerina Antoniadi holds a BSc in International & European Studies, from the University of Macedonia in Thessalonica followed by an MSc in Sustainability Science & Policy from the University of Maastricht. During her studies, she worked as a researcher in UNESCO “Intercultural Policy for an Active Citizenship & Solidarity” and at the Laboratory of International Relations & European Integration, University of Macedonia. She gained experience as a consultant in urban buildings and did her research on Urban Labs and Public Value Creation. Currently, she is a team lead coordinator in Generation Why, an international think-and-do tank for the Sustainable Development Goals. Finally, she enjoys conducting research as an independent sustainability expert with main areas of interest public administration, local and regional development, Sustainable Development Goals (SDGs), monitoring and evaluative processes. Nikolaos has graduated from the Hellenic Police Constable’s School (2008-2010). He holds a Bachelor degree in Accounting and Finance Department from the Alexander TEI of Thessaloniki (2010-2014). Currently, he is a Police Lieutenant Trainee at the Hellenic Police Lieutenant’s School (2015-2018). 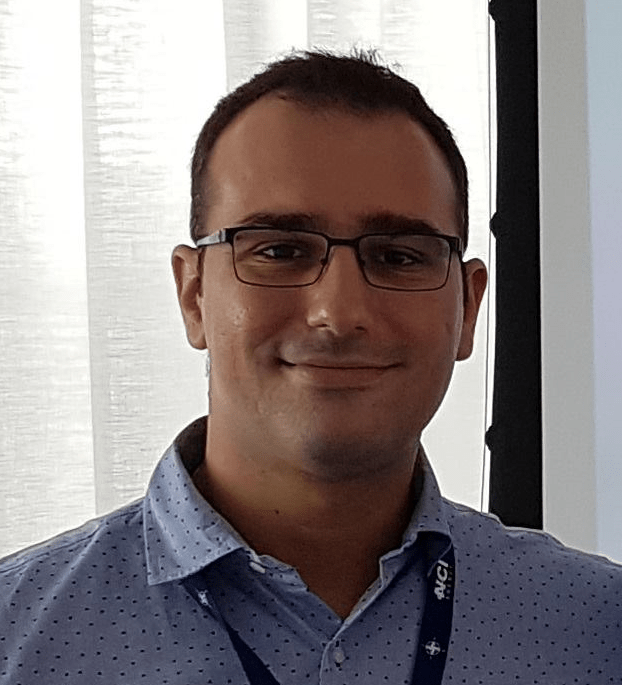 In addition, he is a postgraduate student in Public Audit at the University of Athens (2016-2018). He has attended summer academies of European Studies from the University of Macedonia, Financial Crime, Corruption and Money Laundering by the Aristotle University of Thessaloniki, Cyber-Security and Cyber-Crime from Europol and NATO NCI Agency in The Hague, The Netherlands. He has attended numerous of seminars and conferences and he has participated in simulations of the Hellenic Parliament, the European Parliament, and the NATO. He is attending massive online open courses (MOOCs) on the internet. At a young age, he was a scout and is now actively engaged in volunteering. He is speaking English. His research interests are focused on cybercrime, financial crime, digital currencies, open-source intelligence, police management, and terrorism. He is a committed lifelong learner. Natalia graduated from the Department of International, European and Regional Studies at Panteion University and she is a postgraduate student at the postgraduate programme “Global threats and analysis systems” at the University of Peloponnese . 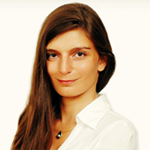 She has been a researcher at the Institute of International Relations of Panteion University. She also publishes articles in local newspapers in Kallithea and Moschato. She has established a website on geopolitical issues and asymmetric threats. She speaks English, French and Italian. Graduate of the School of Officers of the Hellenic Police and the Department of Economics of the University of Patras, holder of a Master’s degree in Business Administration with study direction «Management» of the Department of Business Administration of the University of Patras and PhD Candidate in Organizational Culture, Team Leadership & Team Building in «startups» of the University of Patras. He has served in several key positions at various Hellenic Police departments in Attica and in the Prefecture of Achaia, starting his career by participating in the successful and safe conduct of the 2004 Olympics and Paralympics Games. Since October 2016 he has also been a Certified Trainer at the Public Institutions for Vocational Training (D.I.E.K.) of Patras and Pιrgos. He has been trained and attended – participated in seminars of both Police (with prominent E.U.I.P.O. – European Union Intellectual Property Office) and Management & Leadership issues (with prominent Linkage Greece «Pathways» – Leadership School). Graduate of the Department of Political Science and History of the Panteion University and holder of a Master degree in “International Relations and Strategy”. Member of IDIS in the Maritime Strategy and Maritime Security group. He has participated as a speaker at numerous seminars and conferences. He writes regularly on the websites Power Politics and Naval Analyses. Alexandra is a Greek journalist, born and raised in Cholargos. She studied Political Science and Public Administration at the University of Athens, having a particular inclination on International Relations. For seven consecutive years, she worked in medium-range media including Kontra Channel (Press Room, co-host of the TV show “Terens is Blogging”) while maintaining her personal news blog named “Kontiloforos”. She was a scientific associate of the Members of the Hellenic Parliament, Terens Quick and George Davris, compiling researches and Parliament Questions on Foreign Policy issues. Via the political movement named “Spitha”, she became a Press Office assistant of the international composer Mikis Theodorakis. Since September 2015, Alexadra is an MA Student on International and European Studies at University of Nicosia, specializing herself in Conflict and Peace Issues. In the context of lifelong learning and continues training, has attended courses on International Relations at Centre d’ Études Diplomatiques et Stratégiques (CEDS), University of Macedonia (Specialization program in International Politics and media mode) and the European University Institute (MOOC on cultures and European Identity). In her research interests, are included issues related with terrorism, security, conflict resolution, the BRICS and the influence of the Mass Media on foreign policy.